Last week I had one of those “epiphany moments” on my way to my weekly Bible study with my guys in the Monroe County Jail. I was all set to facilitate the discussion around the Lord’s Prayer and some other incredible prayers in the Bible, and as I was driving, and thinking and praying on my way, one of my favorite songs from Audio Adrenaline came on the car stereo. The song is called “Chevette”, and for a number of years and especially lately this song has served as a kind of anthem for what I would like my life to be about. Hopefully, a life that is about God’s agenda and not my own, and about God’s definition of success and not the world’s definition. Twenty years ago I watched in awe as my dad drove up the driveway, more than proud to have a brand new family car. Thirty miles to the gallon, 0 to 60, sometimes. I remember putting down the back seat and lying in the hatchback. Looking at the sky watching trees go by. I was the son of a preacher, and he was a rich poor man. 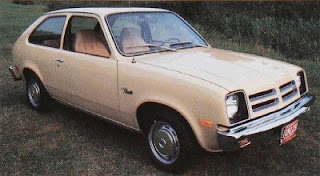 No A.C. No FM, and no regrets, in my Chevette.The winter cracked the highway and we tried to dodge the potholes. He never promised us it would be agentle ride. He never had a problem though, keeping it on the narrow road. Now you may be wondering why those lyrics hold such a special meaning for me, and what kind of epiphany moment I had upon hearing them blasting in my car stereo. Those thoughts are still true, but as I sat there and listened again to the lyrics, I heard the line “Twenty years ago I watched in awe as my dad drove up the driveway. More than proud to have a brand new family car…I was the son of a preacher, and he was a rich poor man.”My mind immediately went to my kids. It was as if a light went on in my spirit as God brought situation after situation to my mind of how he has been guiding my life to this point, and in the process every decision that I have made in accordance with His leading has also affected my wife and kids. I mean I knew that that is the way it works, but as I sat there listening to the song I was really blasted with the fact that every decision I make impacts others…especially my family. I must be honest, that kind of reality scares me to death, because that adds a ton of pressure…I mean its one thing to follow God’s lead for your life, but when there are three other lives included in the decision, it changes things for sure. My hope and prayer is that my kids, just like Mark Stuart of Audio Adrenaline can look back 20 years and say…”I was the son of a preacher, and he was a rich poor man.” And that my wife can say the same kinds of things about her husband, because the truth is, that this path of ministry that we’re on is never going to bring the things that this world points to as success and symbols that you’ve arrived. I know that, I knew that when I signed up for ministry some 20 years ago, and I know it even more now that not only am I in ministry, I’m a missionary, of all things! The drive, the song, the epiphany and the fact that I love to write got my juices going, and I couldn’t wait to get into jail and share with my guys what God was doing in my life. We had an awesome discussion about God’s faithfulness, His love and grace, and as I left the jail and worked my way through the maze of long hallways and intimidating barred doors, my mind was racing with the examples of the affirmations that God had given our family over the last few years as he prepared us for this life of NO Regrets! Every week when I check out of the jail, I go to my locker and retrieve my personal items that can’t be taken in. Things like keys, sunglasses, cell phones and such…this week was no different, and as I grabbed my cell phone I checked to see if I had any e-mail, and sure enough I had a couple in my inbox, so I quickly checked to see what messages I had. The first one I saw was from the financial secretary of our mission, and it was regarding the monthly transfer that she had made into my checking account. It was payday, and she sent me an e-mail to let me know how much I would be getting this month. I must be honest, as I looked at the e-mail and saw that the amount that she said was transferred, which represents the amount that was given the previous month to support my ministry and my family, was WAY LOW! I mean, I don’t make a lot as it is, in fact at this writing we’re still only about 55% of what our mission has determined is what a family of four in ministry needs to live on, and it was even way below that amount…I was floored! All kinds of thoughts were going through my mind, as I left the jail and proceeded to my car. The epiphany I had just two hours earlier was now the furthest thing from my mind, as I felt as if the wind that was powering my sail was completely gone! The emphatic phrase” NO AC, NO FM and NO REGRETS!” Now included a question mark in my mind. I wrestled with God over that one for a long time…again it’s never been about money for me, it’s always been about ministry, but as I sat there wondering how I was going to make less then 25% support last for a month with 4 mouths to feed, and bills to pay…I honestly began to question and question hard! “God what are you doing? Why are you allowing this to happen? I’m being faithful aren’t I? And many more questions similar to that filled my car as I drove home (with the stereo muted). I wish that I could say that just like in the TV sitcoms we grew up watching, 23 minutes later everything was just peachy and the problems were all solved, I won the lottery and it was all good. That’s fairy tale land, and definitely didn’t happen to me. I was ticked, and for the first time in a long time began to wonder if what I was doing was what God really wanted me to do. I mean missions is great and noble, but I also have a responsibility to my family as well. Then as I was driving home, God did what He likes to do a lot in my relationship with Him; He started bringing back memories of the times He showed Himself real in my life. Times when He went beyond the everyday supplier that He is, and sent some “no doubt” kinds of things my way so that I could see clearly that He is God, He loves me, He has a plan for me and he will provide for me, and my family! 1. 1992 Subaru SVX – The very car I was driving on the way home was a gift…sure it is 16 years old and has over 200,000 miles on it, but it was an awesome gift, that God sent at just the right time. My wife and I really believed that God was moving and wanted us to become missionaries, we were working on getting rid of some debt so I sold my 2000 Grand AM to pay some bills. We thought one car would work, and after like 2 days realized that it was not reality for us.So I asked a friend of mine who deals in cars to keep his eyes open for me, and I told him how much I had to work with. Well, after about a week of looking based on my meager budget he basically told me that there wasn’t anything out there for what I could afford.Then he said “Brent, if you don’t mind me asking, why did you sell your Grand Am? That was a nice car?”I hadn’t announced to my church yet that I was leaving to become a missionary, so I asked if he could keep it under his hat until I told the church, and proceeded to tell him what God was doing in my life, and that I believed He was calling me to become a missionary. He then said “wait here a minute, I’ll be right back…about 5 minutes later he returned with a piece of paper and a set of keys and said “here, this is my way of supporting your ministry…here’s the title and keys to a car!” Now not only was this a car, it was his favorite little sports car, the one he babied, spruced up and personally took care of…God provided! 2. 1996 Dodge Grand Caravan – Sure it has 156,000 miles on it and is 12 years old, but just like the Subaru it was a gift. A gift from some missionary friends after our 2001 Dodge Grand Caravan was totaled in a car accident that was a miracle in itself. Every Scar Tells a Story, chronicles that one. 3. Mission House – Upon announcing our resignation from our church and new adventure with our mission, the reality of having enough money to pay the mortgage on our house began to settle in. A few months into the support raising process a friend of mine from college, who is now the Senior Pastor of a church in our town contacted me and said, “Brent, were excited about what you and your family are doing in this missions calling, and our church would like to help in some way. We aren’t taking on any new missionaries right now but we do have a house that is available for you guys to live in while you raise support…RENT FREE! I could go on and list many more examples of His faithfulness to us, but the bottom line for me as I was driving home is that God is in this and knows what He’s doing. He is powering the deal, and will continue to power it. He never promised me it would be a gentle ride; He never has a problem though keeping it on the narrow road. I must be honest, it’s been a tough week, a week that has made me pause and contemplate and question. Then God did something that He often does with me in our relationship, he uses something my kids say to reaffirm that He’s in control. The other day at the beach, my son was playing with a bunch of kids and one asked Him what his father does for a living. Without a second’s hesitation, he joyfully and loudly proclaimed to the child and everyone on the beach…He’s a Missionary! NO AC, NO FM and NO REGRETS! Hey Brent...this is one of your best yet. Thanks for sharing this stuff. We've been there, too. I love that song, and my favorite part is the fact that he said his dad was a rich, poor man. NO REGRETS!! We're praying for you guys. Thanks Dennis...it's so good to be a part of this YMI thing with such incredible people! Thanks for your prayers, I'm so glad to be serving with you guys! 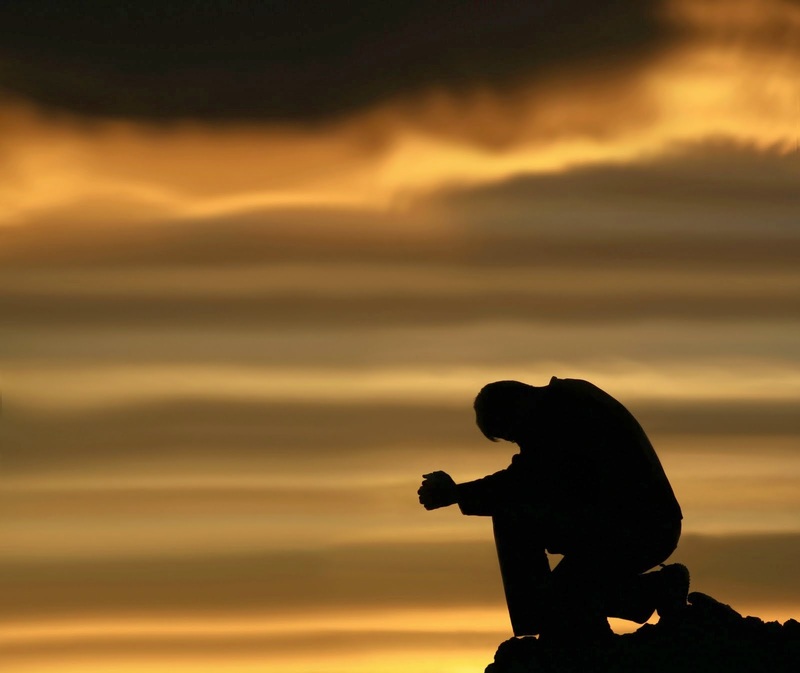 Great article... beautiful examples of faithfulness both ways.